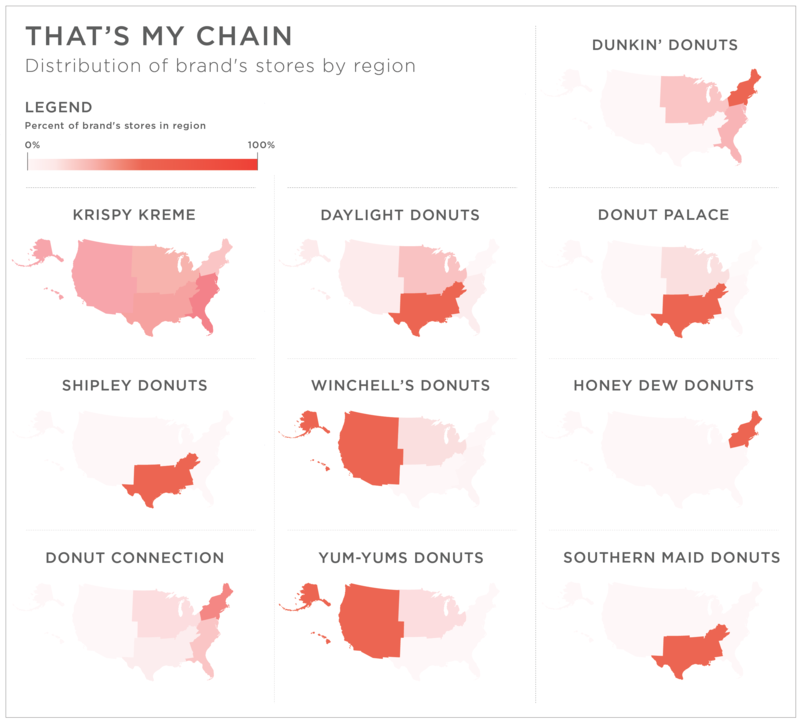 On National Donut Day, it only seems fitting to tell a sweet data story. Growing up in a Boston suburb, birthdays were uncompromisingly accompanied by the two dozen Dunkin’ Donuts “Munchkins” brought to school to share with the class. Every Saturday after soccer games, headers and corner kicks were rewarded with Dunkin’s creme filling and chocolate glaze. If Factual’s Global Places had been around then, I could have solved this mystery with data; Massachusetts has 2% of the country’s population2, and over 7% of its donut shops. In fact, the state is second only to Rhode Island in the number of donut shops per capita. 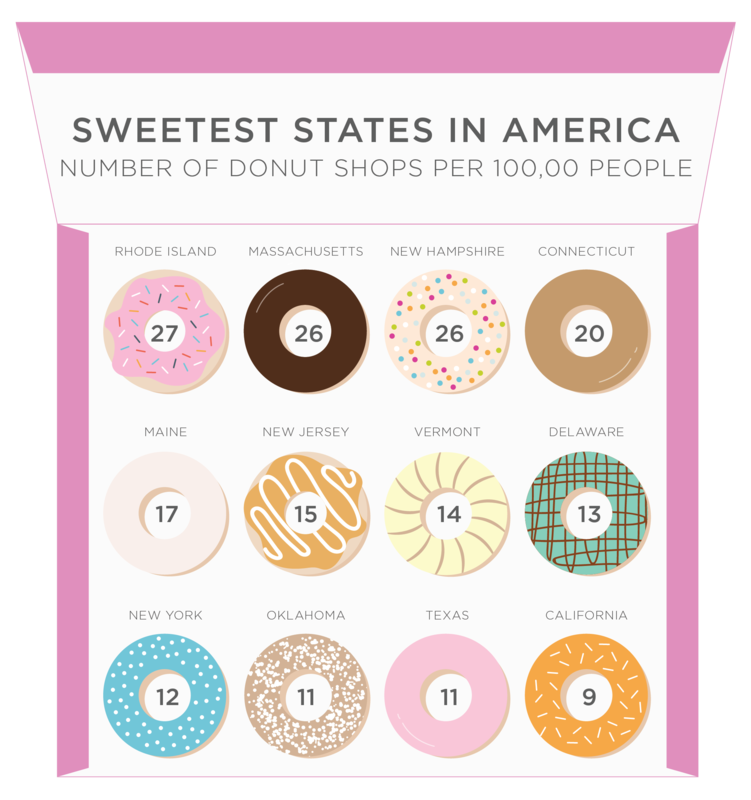 As it turns out, affection for donuts is quite regional, with northeastern states demonstrating significantly more appetite for this delicious and perfect food than the rest of the country, with all states in the region having over 16 donut shops per 100,000 residents. 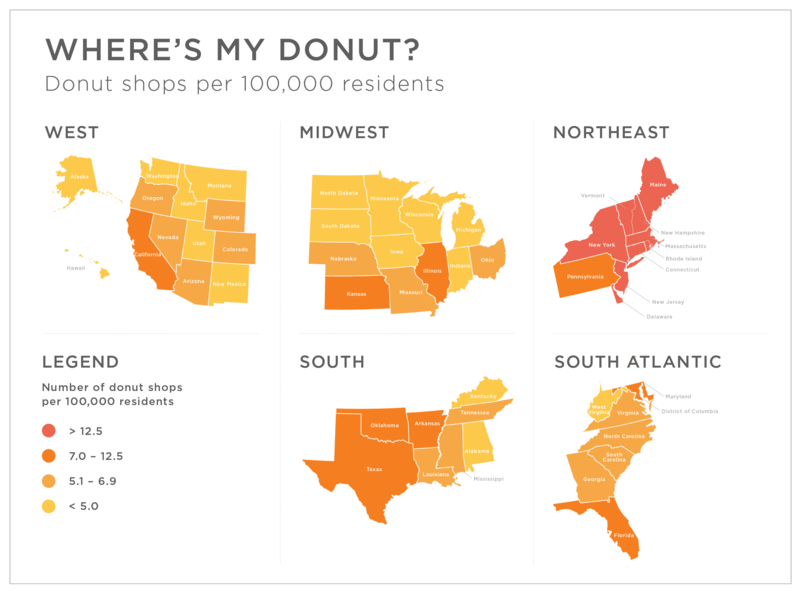 By contrast, the majority of midwestern states have fewer than five donut shops per 100,000 residents. In the 15 years since our move, Dunkin’ Donuts has kindly opened locations in California, affording more young children access to donut holes in seasonally themed boxes. 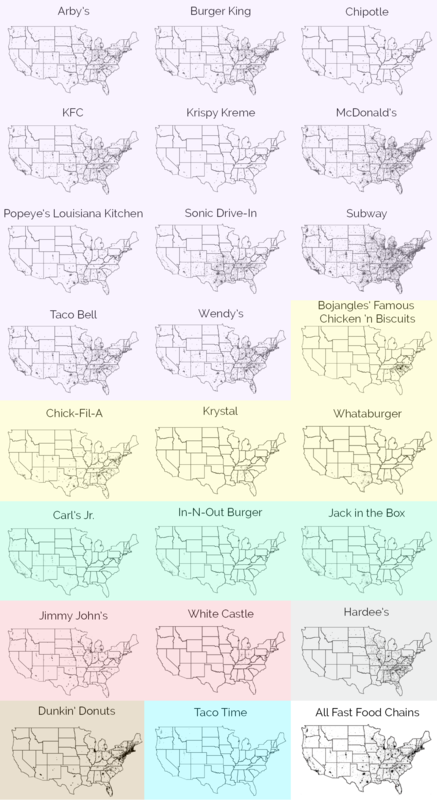 Interestingly though, our country’s largest donut chains are less pervasive than our largest fast food chains; other than Dunkin’ there is only one other donut chain with a national presence, Krispy Kreme. Most of the other large chains are confined to smaller regional footprints than their hamburger brethren. As illustrated below, all of the top donut chains3 other than Krispy Kreme have over 50% of their stores in a single region. For this analysis, we looked at the top 10 donut chains, all of which have over 100 locations. Most of them do not have a significant presence4 in more than three states. Given this enlightenment with places data, perhaps my experience of moving and feeling deprived of my favorite donut shop may not be so rare. Global Places has over 85 million business listings and points of interest in 50 countries. This data is used to power our location based mobile audience and geofencing solutions. These were the days before kale. Populations based on 2015 Census Estimate. Top 10 donut chains as ranked by the number of locations they have open in the US. “Significant presence” in this analysis is defined as 10 branches or more in the US.